Summer is the busiest travel time of the year for families and individuals alike. While many choose to pack up their vehicles and head to the beach, others are more ambitious. Traveling abroad can be a wonderful cultural experience. But it can turn into a disaster if you’re caught in the wrong place with a bad illness. Many of the most popular destinations in Europe, such as England, France and Italy, don’t require prior vaccinations for American tourists. However, China, India and the Philippines ranked in the top 15 destinations of American travelers in 2015, according to WanderBat, a travel research site by Graphiq. The CDC has three classifications of vaccinations: routine, recommended and required. The only vaccination that falls under “required” by international regulations is yellow fever for Sub-Saharan African and tropical South American Countries. Travel vaccinations can be costly. If you are traveling abroad – particularly to a country where the majority of the population does not speak English – it is a prudent decision to receive them. Some travel related diseases not covered by routine adult vaccinations include but are not limited to: hepatitis A, hepatitis B, typhoid and paratyphoid fever, meningococcal disease, yellow fever, rabies and Japanese encephalitis. When planning a trip, one of the first things many look at is cost. Make sure you bake vaccinations into the cost of your travel plans, just like you would a plane ticket. 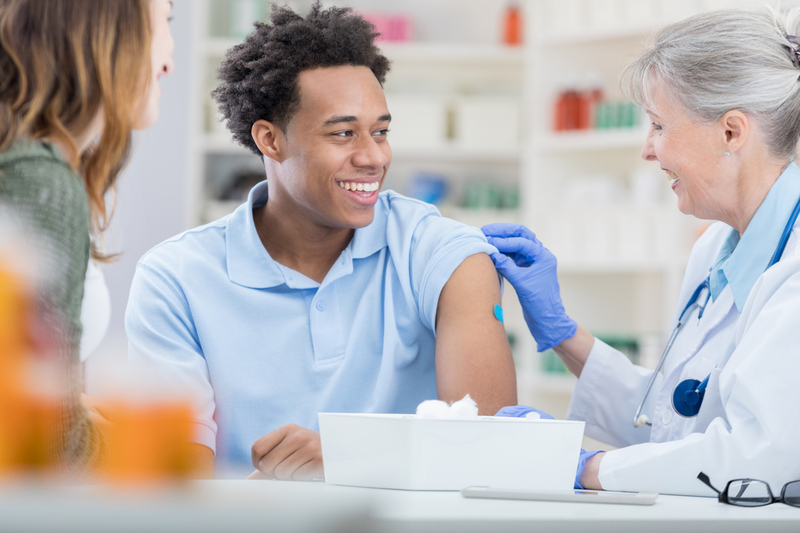 Since the recommended time to get vaccinated is 4-6 weeks prior to ensure your body builds up immunity, you should plan ahead. Furthermore, you may require another vaccine immediately before you travel. If you are taking medications for an existing condition, there may be drug interactions with your scheduled vaccination that could limit its effectiveness. Discuss these questions with your health care provider and local expert pharmacists at Curtis Pharmacy at least two months before your scheduled travel date. It’s important to note that some vaccines are only required once in a time frame of several years. If you return to these countries or others that would require the same treatment, you won’t need to go through the process again until expiration. Why Should I Get Travel Vaccinations? If you are in a country – particularly a third-world country with few that speak English – it could be very difficult to find a medical professional to communicate with. If you are traveling in rural areas over large swaths of land, it could be difficult to find immediate medical attention. If you are an adventurous international foodie that plans on testing any and all of the local fare. If you’re ok with drinking tap water in the country you’re visiting (many restaurants serve tap water). If you don’t want to return to the United States carrying diseases, which your family, friends nor anyone else would likely appreciate. At Curtis Pharmacy, we can help you get the vaccines that you need to make your trip abroad a disease-free adventure. The World Health Organization has a comprehensive list of vaccines for different countries here. Your health and safety is important to us. Contact us today and see how we can help you. FAQ About Sildenafil This Holiday Season? Curtis Has Answers! Income Too High For Medicare Assistance Programs? Check again!